Rachel has served as an adjunct analyst, conducting staff interviews and crisis scenario simulations on several of our school assessment projects. Rachel also served as our liaison for 32 SHI analysts on a massive school security assessment project for 205 schools in Orange County Florida. An experienced photographer, she also performs professional quality photography and video during production for SHI training videos. Rachel has assisted in production for over one hundred SHI school safety training videos, including serving as producer and editor for the web series Ask Safe Havens. 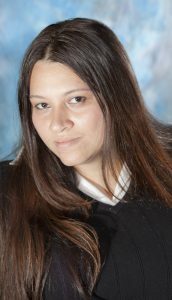 As the Safe Havens staff photographer, Rachel’s photos have been used for numerous school safety articles, books, manuals, training videos and web courses. Rachel’s photographs were used extensively for the United States Department of Homeland Security active shooter response web course that is part of President Barack Obama’s White House School Safety Initiative. Her photos of school safety programs, drills and exercises are also in use in many other FEMA web courses and training programs. As a native Spanish speaker, Rachel also serves as interpreter and translator for the Safe Havens team when needed , including serving as a translator for school site visits and interviews in Mexico and Bolivia. Rachel has also provided translation for a number of Safe Havens Video projects requiring subtitling or overdubbing into Spanish.